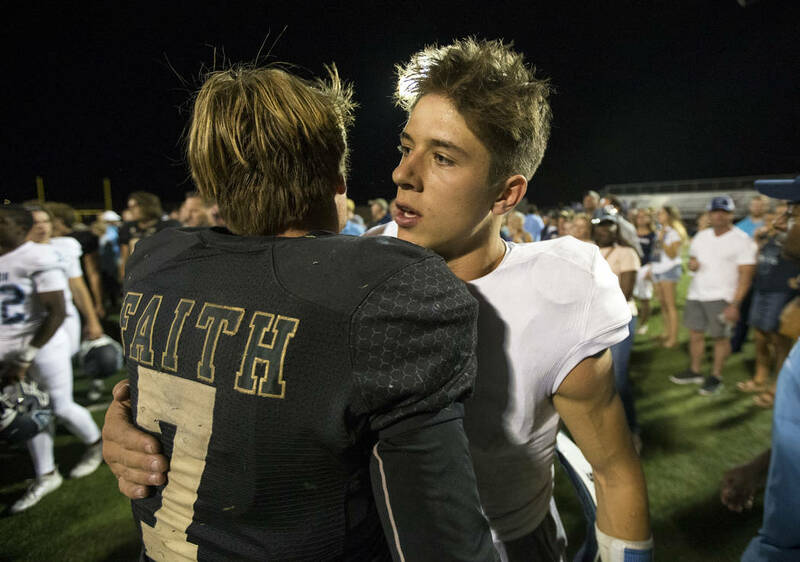 Faith Lutheran never got the momentum going in the right direction. 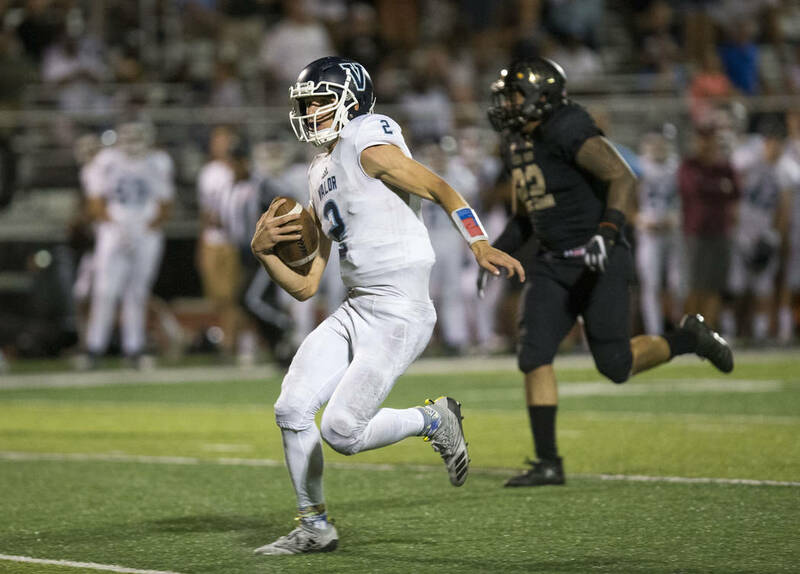 Throw in a defense that looked flummoxed by Valor Christian (Colorado) star quarterback Luke McCaffrey and the end result was a 35-0 home loss. 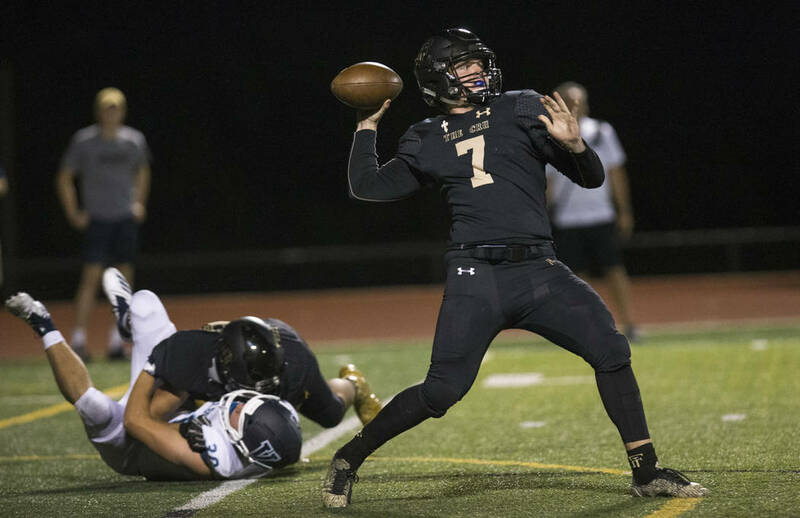 Opening night 2018 was one that Faith Lutheran would rather forget. 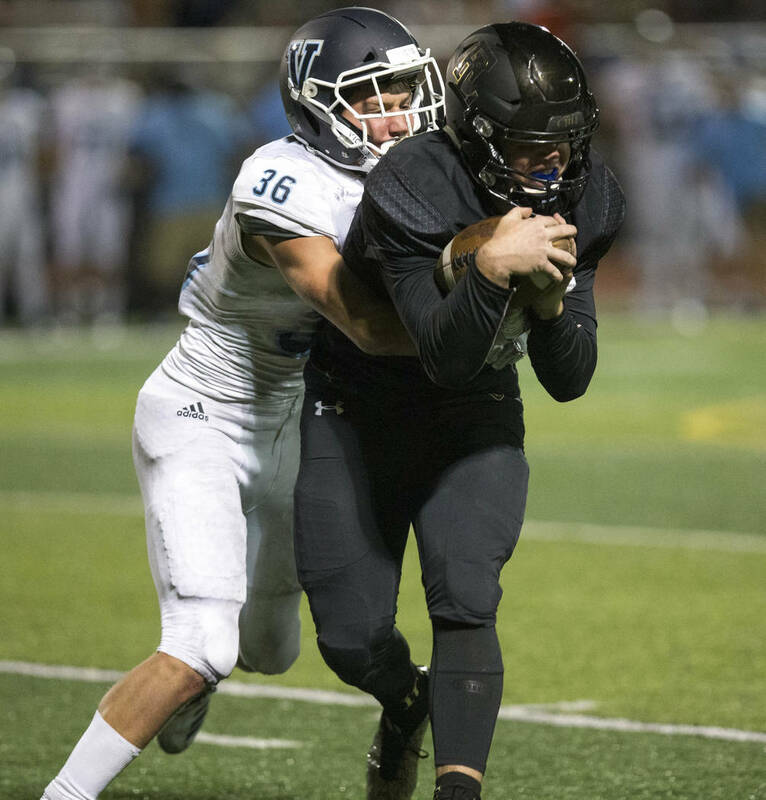 The Crusaders never got the momentum going in the right direction Friday and failed to maintain any consistent offense. 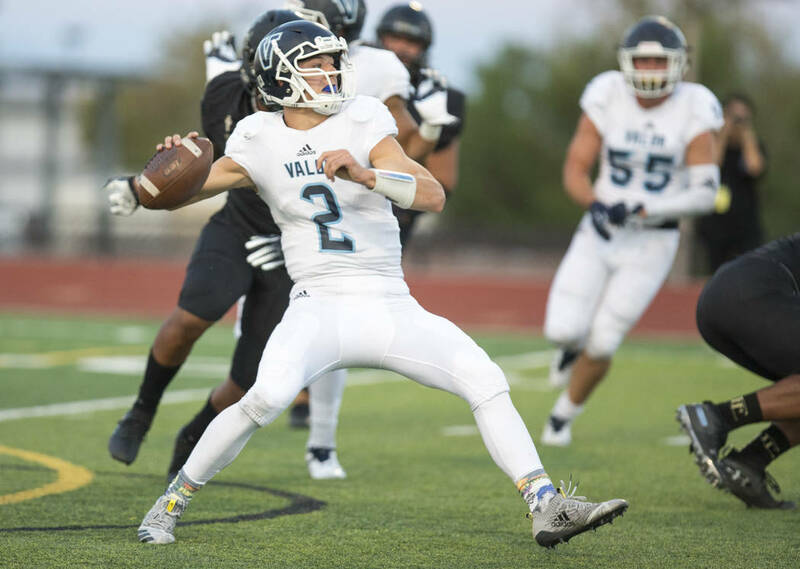 Throw in a defense that looked flummoxed by Valor Christian (Colorado) star quarterback Luke McCaffrey and the end result was a 35-0 home loss. 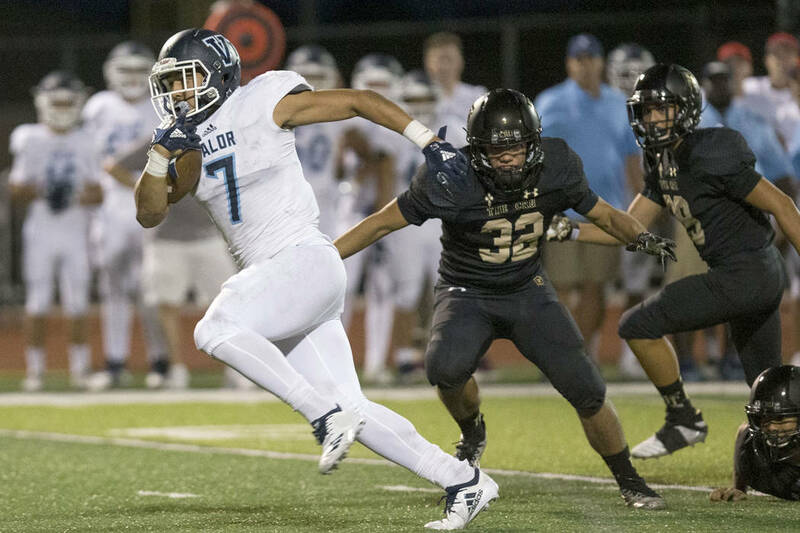 All night, Faith Lutheran (0-1) struggled to keep Valor Christian (1-0) out of the end zone. 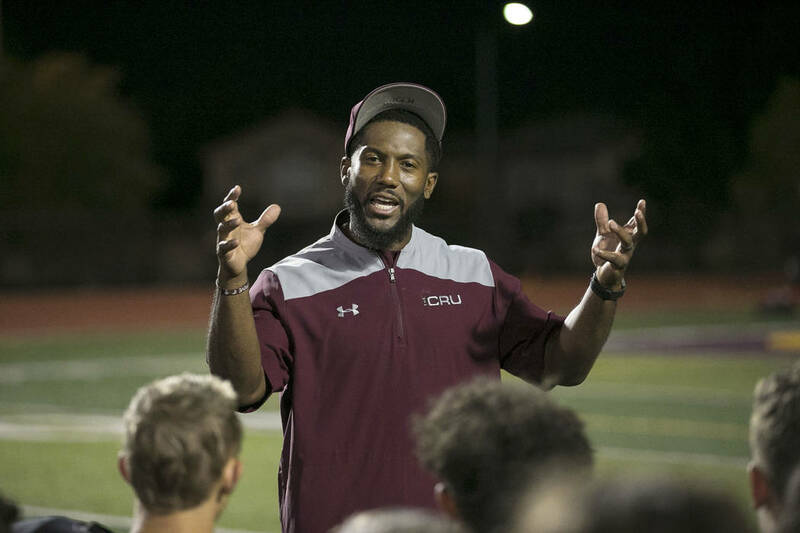 Joshia Davis was the first to score, taking a draw from 5 yards in the first quarter, then returning a punt 42 yards in the second to make the score 14-0. McCaffrey took it from there. 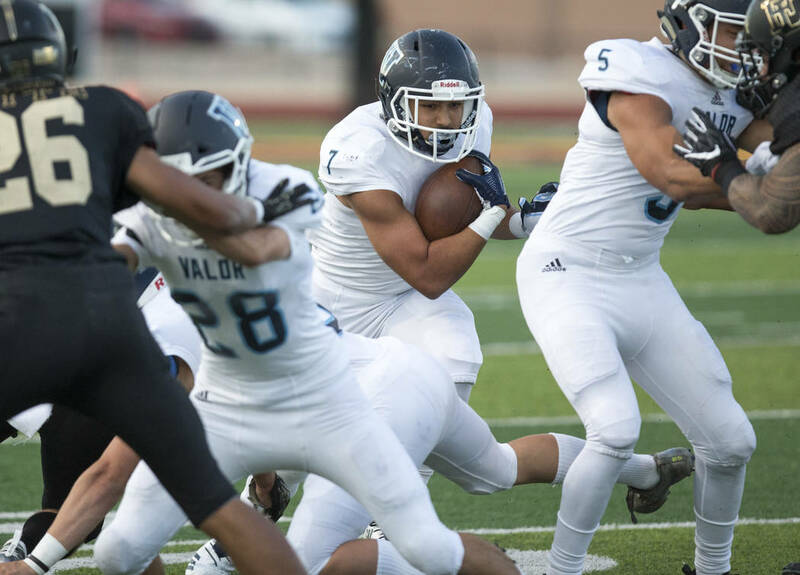 The Nebraska-committed Eagles quarterback found receiver Gavin Sawchuck at the second-quarter buzzer to give Valor Christian a 21-0 lead. Then, in the fourth quarter, he weaved around the backfield before breaking loose for a 48-yard touchdown run. 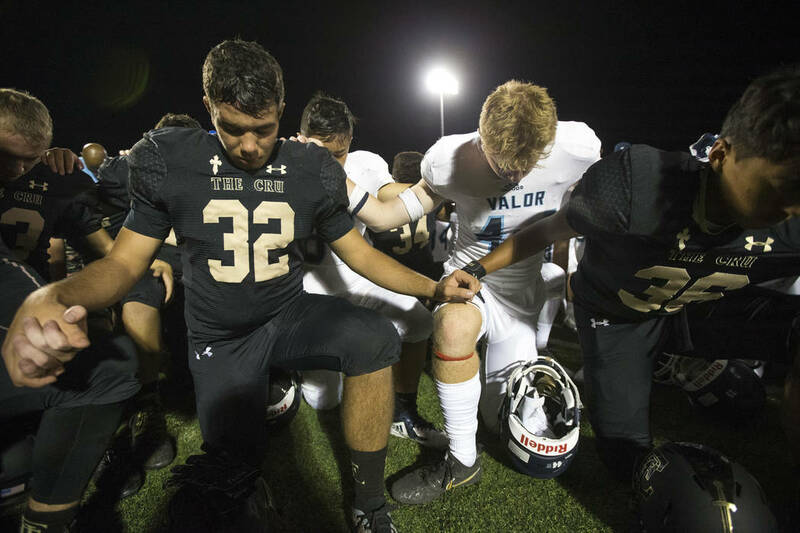 After Valor Christian recovered a fumble, he scored from 3 yards two minutes later to activate the running clock. McCaffrey ran for 110 yards and threw for 178. The other quarterback was not as successful, but he did not have as much time as McCaffrey. 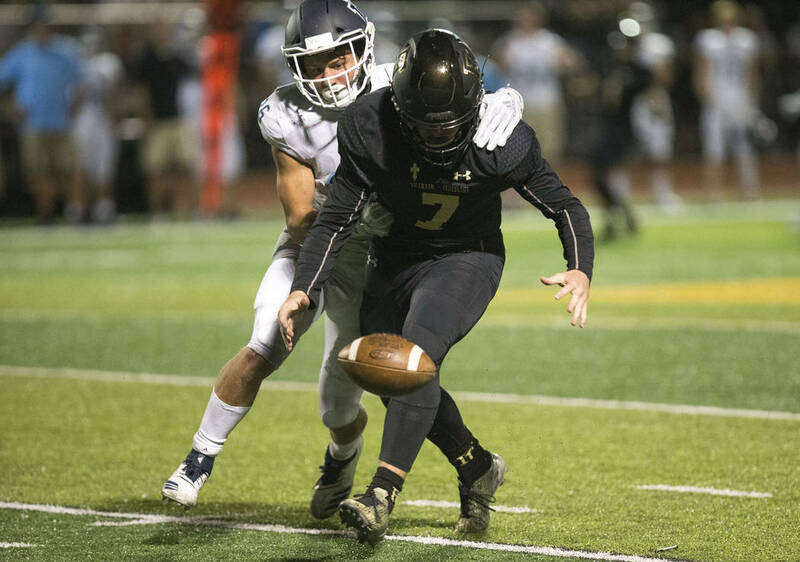 While the Crusaders sacked McCaffrey just once — his only play for negative yardage — Faith Lutheran quarterback Sagan Gronauer was sacked seven times for a loss of 55 yards. He completed 11 of 21 passes for 128 yards. 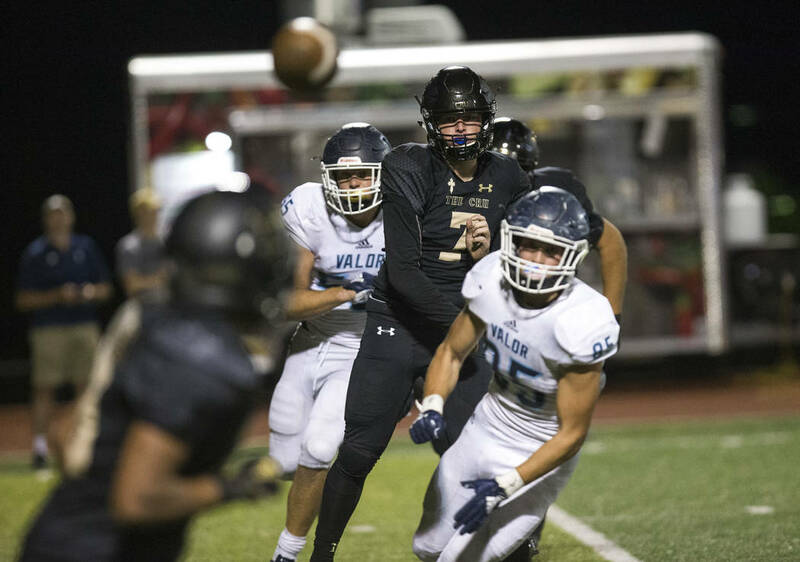 Faith Lutheran lost to Valor Christian in Colorado 30-21 last season, and Friday’s defeat was its largest margin at home since 2012. One positive for Faith Lutheran was the play of sophomore running back Julian Rohan, making his varsity appearance. 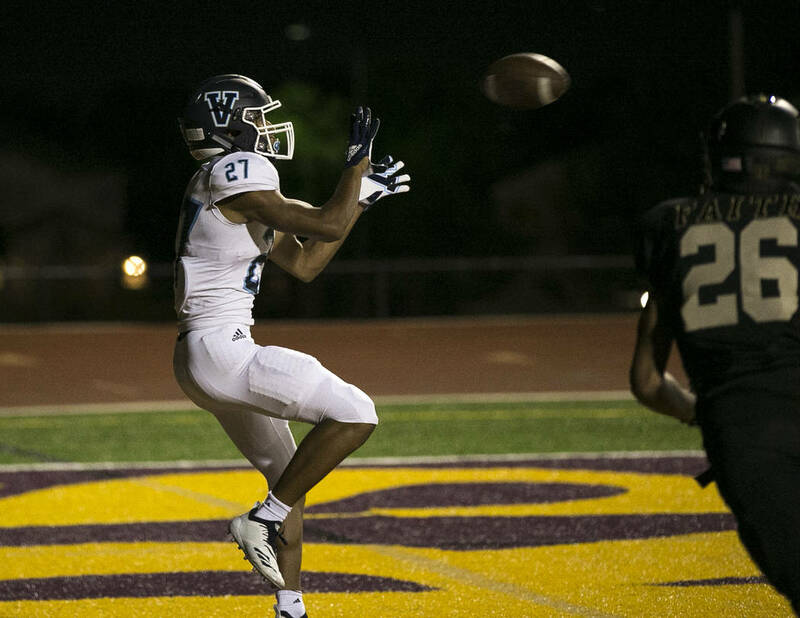 He carried the ball 16 times for 166 yards, gaining more on the ground than the rest of the team did from scrimmage.